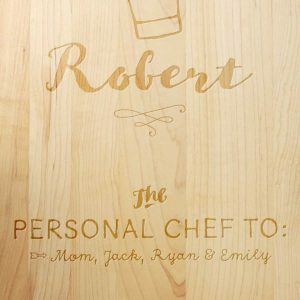 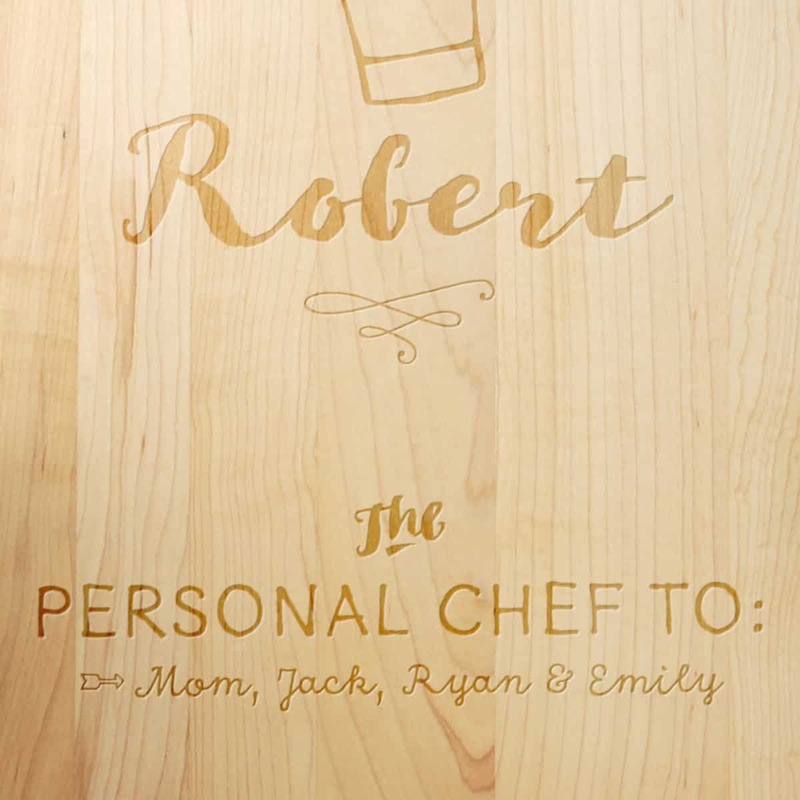 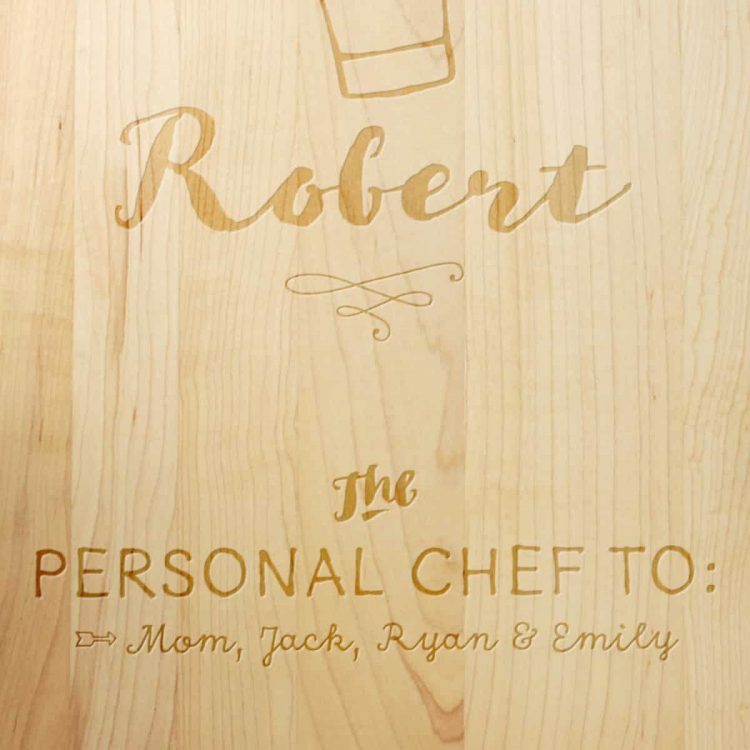 Show him you care for all that creative cooking by giving a personalised “Personal Chef to” chopping board. 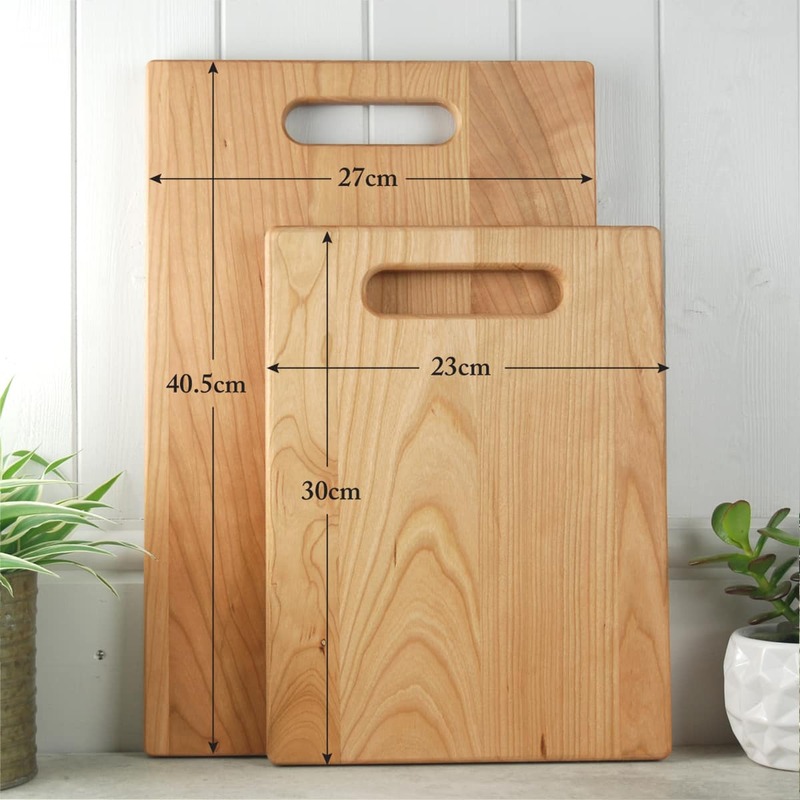 This beautiful chopping board has been handcrafted from beautiful Maple, Cherry wood and sumptious Walnut. This design features a cute hand drawn chef’s hat and chef’s name (or Dad!) can be added. 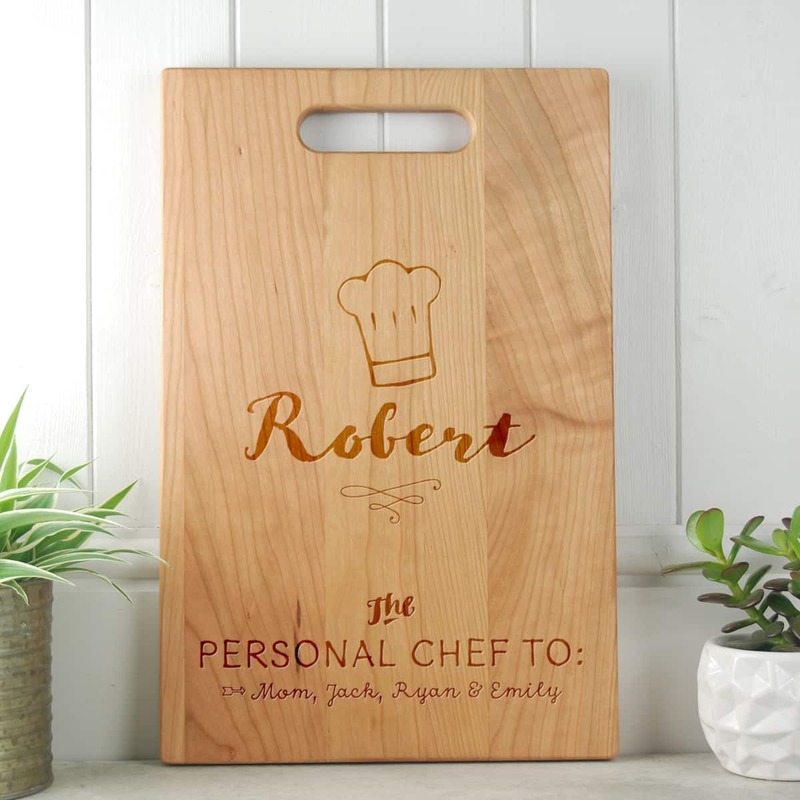 Additional names can be added to specify who this hardworking chef usually cooks up delights for! This personalised chopping board is guaranteed to be an object of conversation when used for serving – enjoy!